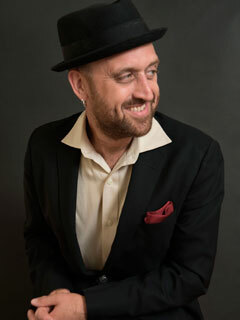 Franz Nicolay is a New York musician who has played with myriad acts including the Hold Steady, Against Me!, and the Dresden Dolls and was a founding member of the composer/performer collective Anti-Social music. Dying Scene recently named him #1 of “Punk’s 10 Best Accordion Players.” He teaches at Bard College. The Humorless Ladies of Border Control: Touring the Punk Underground from Belgrade to Ulaanbaatar (The New Press) is his first book. The New York Times Book Review includes The Humorless Ladies of Border Control in their list of the "Season’s Best Travel Books"